Erik Berrevoets was born in the Netherlands and migrated to Australia in his early twenties. After working for a short time on a sheep station, in encyclopedia sales, and as a waiter, he studied anthropology and sociology, which culminated in a postgraduate degree in rural sociology. Following his studies, he was employed as a researcher for a number of government agencies in areas such as indigenous education and fisheries management. Erik has had a lifelong interest in biodynamic agriculture and the spiritual and cultural dimensions of nature. 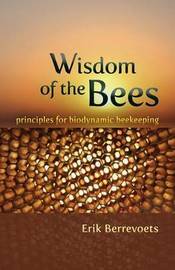 A formal training course in biodynamic agriculture provided the inspiration for revisiting Rudolf Steiner's bee lectures and resulted in writing Wisdom of the Bees. For the past several years, Erik Berrevoets has kept both native Australian and European honeybees, reviving a family tradition that goes back at least three generations.